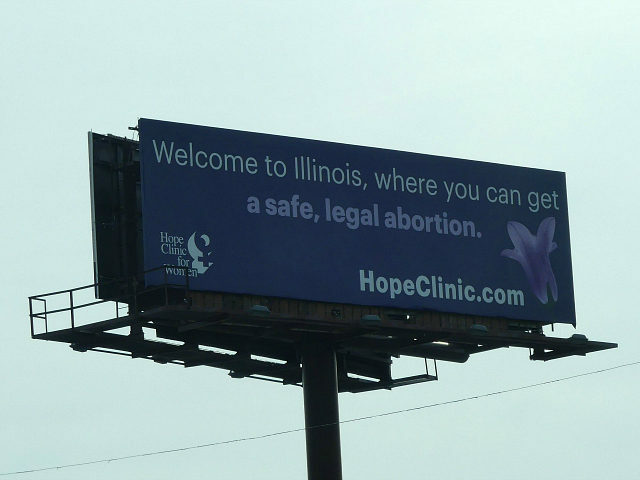 A new billboard on Interstate 55 in Illinois is welcoming visitors to the state by touting its liberal abortion laws. The billboard can also be seen along Interstate 64 from Missouri. Alison Drieth, media relations coordinator of the Hope Clinic of Granite City, said the facility is emulating the billboards seen at the border of Utah and Colorado after Utah passed abortion restrictions, reported Fox 56. “We’re in a similar situation here when it came to access to reproductive health care including abortion and thought it might be as equally successful on the Illinois-Missouri border,” Drieth said. The clinic said half of its patients come from Missouri. According to the news report, the billboard is stirring up controversy. “I would hope that Illinois has more to recommend than our abortions, like I hope we would have more to offer to people than that,” said Illinois resident Anne Marie Williams. The billboard is raised as the state is poised to pass the most extreme expansion of abortion rights in the nation. With a Democrat super-majority and the support of Democrat Gov. J.B. Pritzker — who said his goal is to make his state “the most progressive in the nation” when it comes to abortion — the state chapters of Planned Parenthood and the American Civil Liberties Union (ACLU) have pressed the state legislature to pass measures that would make partial-birth abortion legal in the state. 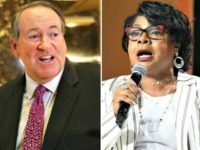 Four lawmakers introduced bills that would repeal most restrictions on abortion and make the procedure a fundamental right.